A Bertram Chandler (1912-1984) was a ship's master who used his expertise to write about space navies of the future. John Grimes his major protagonist appears in such works as The road to the Rim (1967), The Hard Way Up (1972), The Black Mark (1975), To Keep the Ship (1978), and Star Loot (1980). 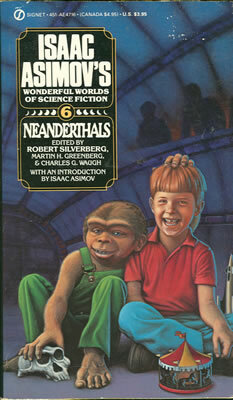 But in the story below, Chandler gives a new twist to a "ricketsy" plot, envisioning the Neanderthals' ultimate destiny.